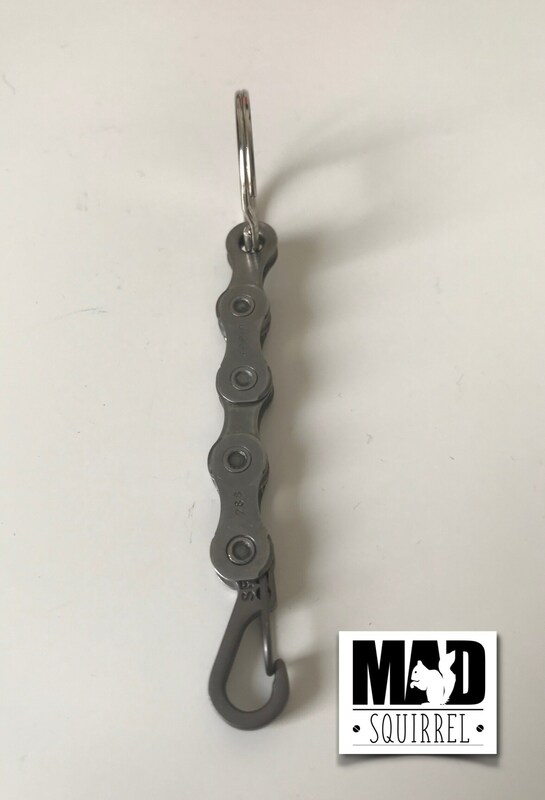 Dark Edition of SRAM Eagle 12 speed Bicycle Chain Keyring with a Black Spring Hook and Split Ring. Dark edition SRAM Eagle 12 speed Bicycle Chain Keyring with Black Spring Hook and Split Ring. These come in a free Pillow Gift Box. 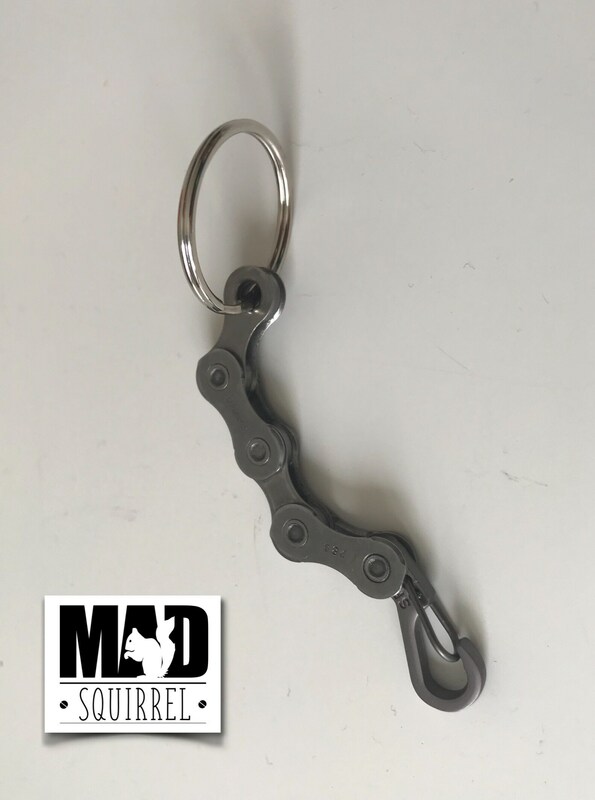 This dark edition of our keyring is made from SRAM Eagle 12 speed Chain with a split ring at one end and a black spring hook clip on the other end. 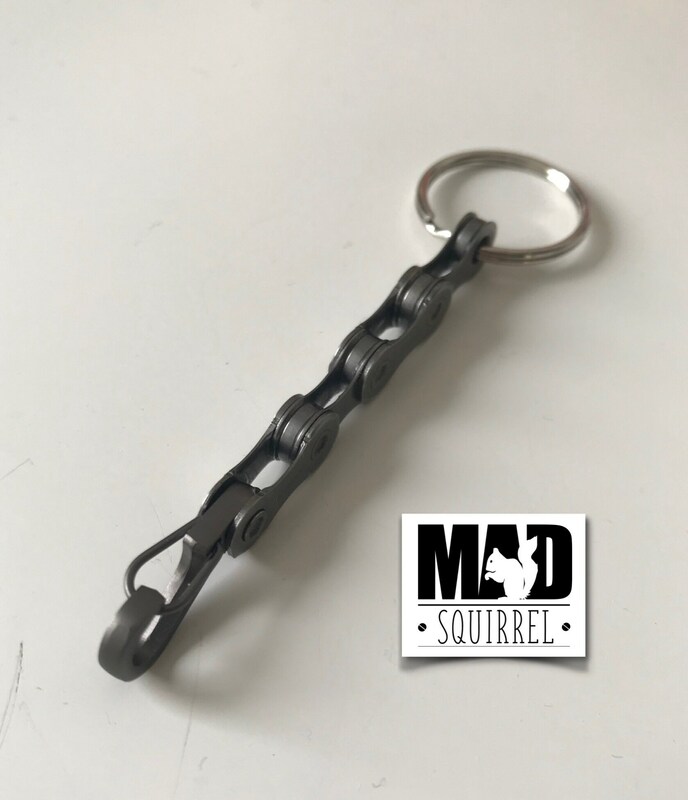 Ideal for attaching to you normal keys and quickly clipping on to or into a riding pack or saddle bag to ensure they don't fall out on your ride or end up at the bottom of your bag. The chain is new and unused and has been cleaned and lightly polished.